Even at $150 per barrel oil, renewable energy never had a chance at competing with fossil fuels! With oil down to $31 per barrel, formerly contemplated renewable projects are being shelved. That is because renewable projects are characterized by prohibitively high construction costs (CAPEX). But there is a bright side to this story! Sunshine, wind, and water are all free, meaning operating costs are exceedingly low. It might not make sense to build a solar farm, but owning one could be good for your bank account! Ravi Sood, Chairman of Transeastern Power Trust, saw this opportunity beginning to play out years ago, and decided to make a move. The idea? Build a portfolio of cash flowing, renewable assets in strong jurisdictions that would pay a consistent and high dividend. And that is exactly what Ravi did, which led him to Romania. The country of Romania benefits from European Union renewable tax credits. Equally important, Romania is well suited for renewable power generation. The sun often shines, winds are strong, and drastic variations in elevation lead to strong flows of water. Long story short – the concept worked. The idea caught on with industry titans Rick Rule and Eric Sprott who made significant investments. 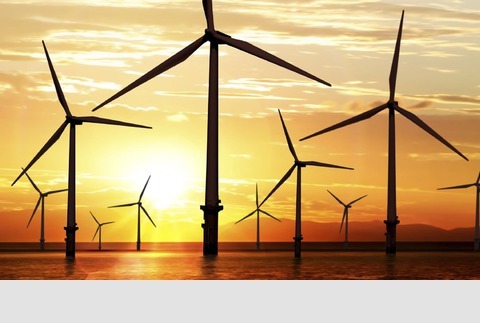 The trust now owns several assets harnessing the power of the sun, wind, and water. Due to low shares prices, the trust is effectively paying a yield of 17%!!! In this exclusive interview, Ravi discusses the logic behind building a renewable yield company in a world of cheap energy. Dividends in the mid-teens are possible in renewables, even without tax credits? Ravi Sood is a financier and venture capitalist. Mr. Sood is the founder and former CEO of Navina Asset Management, a Toronto-based investment firm that was acquired by a major financial institution. Mr. Sood has also founded several natural resources based businesses including Feronia Inc., one of Africa’s largest employers, where he serves as Chairman. Mr. Sood is also a director of Elgin Mining Inc. and TrueContext Mobile Solutions Corp. Mr. Sood holds a B.Mathematics(Hons) degree from the University of Waterloo.